In 2016 I adopted a little kitten from Kitten Cottage Animal sanctuary which is based in county Cavan. They take in homeless , abandoned or mistreated kittens and cats then nurse them back to health. They find homes for them and they do all of this out of their own pocket as the government does give them funds to run their business. They run a little charity shop to help them raise money . It is not funded by the government which means any money they have is earned by donations from generous people and by the charity shop. 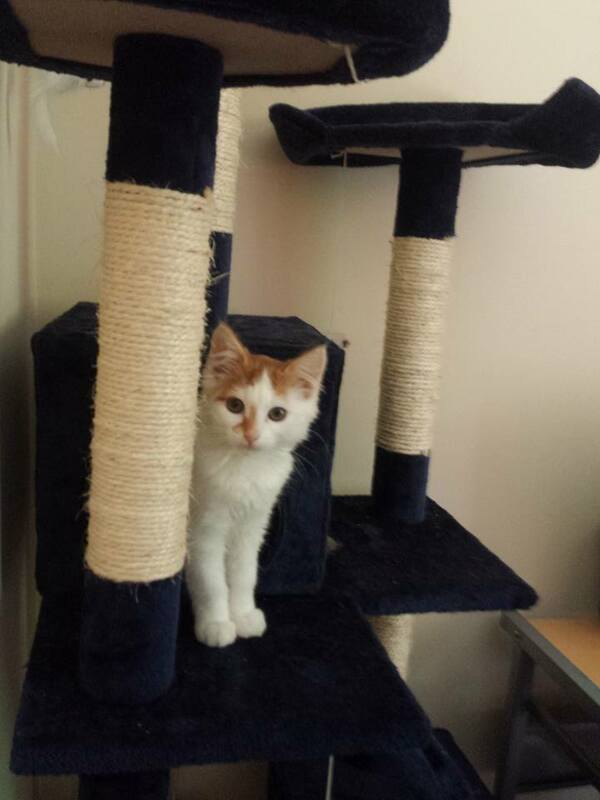 Our little kitten Toby has grown up into a monkey and is up to all sorts , wouldn't change him for the world though. So the reason l'm posting this is because i've seen lots of people get kittens from people who haven't neutered their cats when there are lots of kittens and cats already in these sanctuaries .If people started getting cats from sanctuaries it might encourage people to get their cats neutered knowing that its not going to be easy to give the kittens away. If you are interested in getting a cat here is their facebook page https://www.facebook.com/KittenCottage/ , you can also donate money and they have a charity shop to gain funds for the sanctuary so if you have stuff you want to give away you can pop into it .